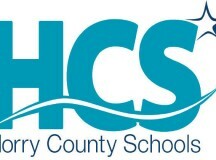 Post Tagged with: "Rick Maxey"
Horry County Board of Education members are scheduled, at the regular board meeting Monday night, to hear a grievance filed by Mark Wolfe, Executive Director of Facilities for the school district. Wolfe has been on paid administrative leave since late August 2018. Wolfe filed a grievance challenging the suspension to be heard in closed session by board members. Wolfe first came to Horry County Schools in January 2014 after 23 years with the local architectural firm of Usry, Wolfe, Peterson, Doyle Architecture. He was promoted to his current position in March 2015. According to several sources familiar with the issue, Wolfe was placed on leave by Horry County Schools Superintendent Rick Maxey after questions arose regarding how and why a contract for work on school facilities had been awarded to Wolfe’s stepson. According to those sources, the contract was for the application of ballistic film on the windows of schools recently built by First Floor Energy Positive. According to information provided to Grand Strand Daily, ballistic film was one of the items on a list of allowances provided for the new schools. Choices could be made from the list up to a maximum allowed budget similar to a budget provided for items such as types of appliances, counter tops, cabinets and the like to be chosen when building a new home. According to those sources, the HCS Facilities department chose not to have ballistic film on the windows when choices from the allowances list were made for the new schools. According to the sources, at a later date, First Floor Energy Positive, the general contractor for the new schools, was allegedly approached and asked to hire Wolfe’s stepson to apply ballistic film to the windows of the new schools with Horry County Schools paying First Floor Energy Positive for the work. The request was allegedly made in this fashion so a contract for the ballistic film application would not have to go through the normal procurement process, according to those sources. Wolfe’s signature is reportedly on the documents approving the ballistic film application.